Mwche Farmhouse at Mwche Cottages in Llanybri, near Llansteffan, Carmarthenshire sleeps 10 people. 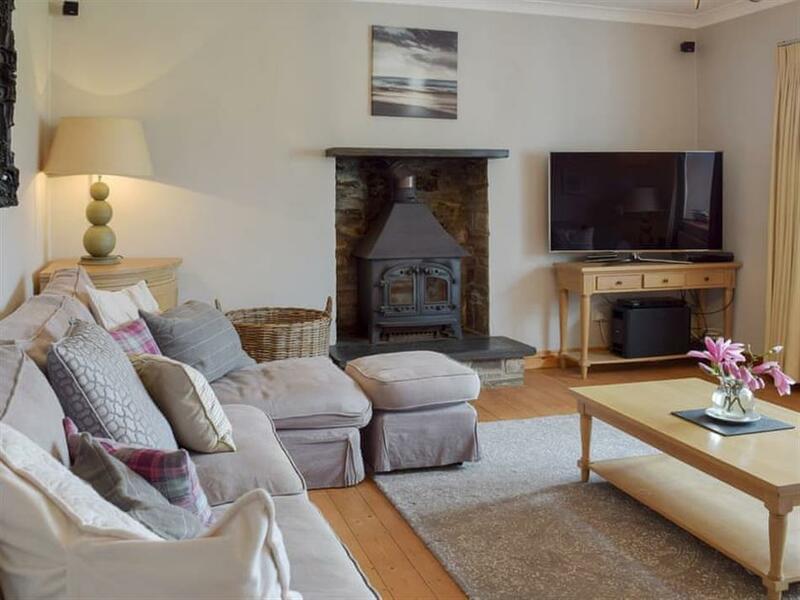 Mwche Cottages near Llansteffan; Mwche Farmhouse really offers the ultimate spot to unwind and relax with your family and friends in this stunning, spacious detached farmhouse. Enjoy the truly epic sea views along the Taf Estuary and further out towards the Carmarthen Bay and Llansteffan Beach. 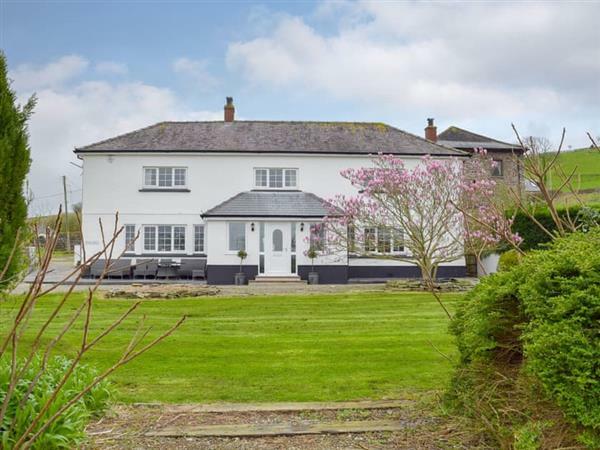 Nestled along a peaceful meandering country lane complete with a private driveway on the banks of the River Taf, a few minutes’ drive from the hamlet of Llanybri. Here you will find its village pub that serves great home cooked food and local ales, and is a must visit on your trip for some well-deserved refreshments. A little further south is the coastal resort of Llansteffan with a truly sublime beach, cafés, pubs and the 12th-century Llansteffan Castle where you can step back in time, discover the ancient history and enjoy the commanding sea views. Mwche Farmhouse has been finished to a superb standard throughout and offers a very good level of luxury for your party. In the evening, relax in front of the focal wood burner with a glass of wine, or catch up on that book in the library. Each spacious bedroom has been elegantly furnished with a feel of grandeur and comfort. The elegance continues into the open plan kitchen/dining area with a hand crafted oak kitchen and granite worktops. It is the perfect space for entertaining and formal dining. Alternatively you can dine al fresco and take in that sea air. On those rainy days, your children can be kept busy with the games room complete with air hockey, darts, pinball machine and even Pac Man. From the property you can see the famous poet Dylan Thomas’s Boat House within the township of the idyllic Laugharne. Here you can visit the local pub which he frequented regularly. The walled town of Tenby with its award-winning beach is within a 40-minute drive, along with Oakwood, Wales’ largest theme park, Folly Farm Zoo and Heatherton World of Adventure. The shop is 1½miles from Mwche Cottages near Llansteffan, with the pub and restaurart 1 mile from Mwche Cottages. Mwche Farmhouse can been booked together with Mwche Lodge (ref UK11014 [Mwche Lodge]) which is set within the grounds, to sleep up to 14 people. Mwche Farmhouse has a step to the entrance. Living room: With wood burner, Smart Sky TV, DVD player, Blu-ray player, CD player and oak floor. Living/reading room: With electric flame-effect fire and oak floor. Kitchen/dining room: Farmhouse style with double electric oven, gas hob, microwave, fridge, dishwasher, coffee machine and tiled floor. Utility room: With additional microwave and fridge, freezer, washer/dryer and wine store. Games room: With air hockey, pinball machine, dartboard and video games. Bedroom 1: With super king-size bed and en-suite with shower cubicle and toilet. Bedroom 4: With king-size bed. Shower room: With double shower cubicle and toilet. Gas central heating, gas, electricity, bed linen, towels and Wi-Fi included. Initial logs for wood burner included. Travel cot, highchair and stairgate available on request. Welcome pack. Large lawned garden with terrace, garden furniture and barbeque. 2 dogs welcome, to be kept on a lead at all times. Kennel available. Private parking for 4 cars. No smoking. Please note: There is a pond in the garden, 20 yards away. Holidays at Mwche Farmhouse, Mwche Cottages run from Friday to Friday. Pets allowed at Mwche Cottages - Mwche Farmhouse. For a better idea of where Mwche Cottages - Mwche Farmhouse is, you can see Mwche Cottages - Mwche Farmhouse on the map below. Mwche Cottages - Mwche Farmhouse is in Dyfed; should you be on the lookout for a special offer, you can find all the special offers in Dyfed. It's always worth checking to see what is on offer at the moment. Do you want to holiday near Mwche Cottages - Mwche Farmhouse (UK11013), you can see other cottages within 25 miles of Mwche Cottages - Mwche Farmhouse; have a look to find your perfect holiday location.